A1A Computer Services provides Jacksonville Florida and the Jacksonville Beach communities with a wide variety of laptop and desktop repair services. We repair anything from a laptop screen to virus removal, data recovery, data transfer or any other computer software or hardware related repair issue. Surprisingly most people don't realize computer repair services are needed when you pull you computer out of the box new. Laptop and desktop PC manufacturers load your new computer with unnecessary software programs which is good and bad for you as a consumer. Good: This allows you to buy that new laptop or desktop for less because the manufactures are getting paid by software vendors so you can pay less..
Bad: Because you start getting pop up ads as soon you turn your new laptop or desktop on.Bad because the computer manufacturers do not take the time to straighten out the problems caused from loading all of these programs. They just ship it out and you buy it. Our long time costumers bring us their new computers still in the box unopened to set up and "DeCrapify" for them. We can set up and repair a new or old laptop or desktop PC to run much faster then when it came out of the box new! We also educate our clients on the care and maintenance of their laptop or desktop PC to keep them from having to come back time and time again because no one informed them. For instance when is the last time you blew out your laptop fan? Did you know that dust and pet hairs trapped inside your laptop can cause very expensive repairs including motherboard failure and hard drive failure? 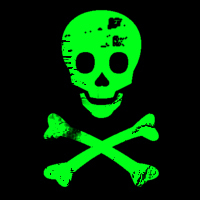 Click on the image below. This is a common problem. It is a laptop fan exhaust port. You can see it was completely clogged and fried the motherboard. This is common with desktop computers as well. 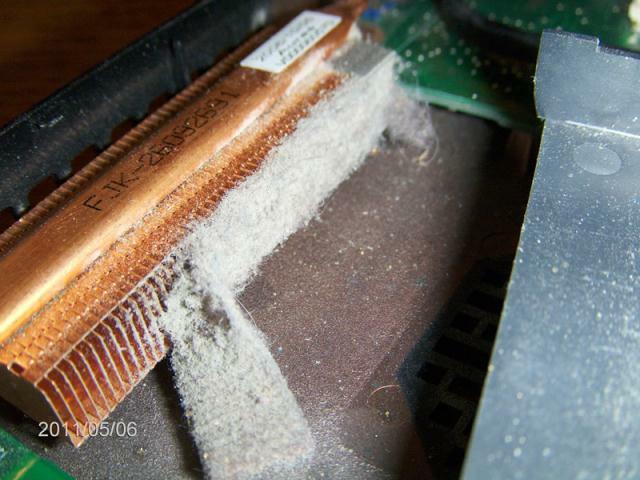 Your desktop computer should be cleaned every 6 months at a minimum. More often if you have pets. To avoid an expensive computer repair your laptop ports should be cleaned monthly.